Charlie, part of the Global Sales customer team, is an expert at finding just the right product for our customers in the Caribbean and Bermuda - everything from standard items like tile and lighting to more interesting requests like trailer-sized generators. We've asked him to provide some of his favorite products in this series called Charlie's Picks. For my first pick, I'm focusing on vinyl railing. 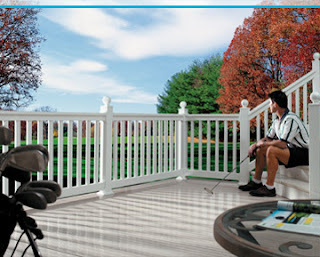 Vinyl railing adds value, safety and beauty to your home. Plus, it is low maintenance - no painting, scraping or warping. I like the Presidio Sentinel and Reliant Series by Westech. Our customers have been really pleased with the quality of this product and the ease of installation. To get a quote or for more info, please contact us today!